The Families and Friends of the First AIF Inc (FFFAIF Inc) is Dedicated to Digger Heritage and Keeping The Memory Alive (KTMA) of the First AIF Diggers who served in theGreat War of 1914 -1918. Individual, organisational and concessional membership. 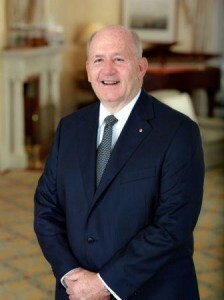 Governor-General of the Commonwealth of Australia. His Excellency General the Honourable Sir Peter Cosgrove AK MC (Retd), Governor-General of the Commonwealth of Australia, agreed to become FFFAIF Patron-in-Chief, succeeding the Honourable Dame Quentin Bryce AD CVO. Thank you, Sir Peter, for granting us this honour and welcome to our association.